Feeding a baby should be simple – you just need some milk, right? How hard can that possibly be? It’s a lot more complicated than it seems, as I found out when I was a new mother. I was a clueless rookie before my child was born. I knew parenting would get difficult when it came time for my daughter to someday get her driver’s license or start dating. But I never realized how many anxious, and hand-wringing moments I would have before then. My last trimester of pregnancy was spent second-guessing every decision I had just made. One minute I would be completely confident in my choice, and the next, I would backtrack so fast my husband probably thought I had developed a split personality. So many important decisions had to be made, and a lot of them center on feeding my baby. There is the great debate every woman must ask herself before her baby is born – will she breastfeed or use formula? Even selecting a brand of bottles can take an agonizing turn as you read hundreds of online reviews searching for the one magical bottle that will somehow please everyone. Then there’s bottle warmers, breast pumps and storage bags to select. The educated guesses you need to make never seem to stop. It will drive you crazy at times, and it will open your heart like nothing else in your life ever has. You may make questionable choices at times – all beginners do. I know how that feels, and I hope all the articles in my feeding section will help both you and your baby. Enjoy those quiet times when it’s just you and your baby, and all those snuggles that are reserved solely for you. From one mother to another, I’ll be here to provide as much information as I can as you embark on the greatest journey you’ll ever know and the most rewarding job you’ll ever have. 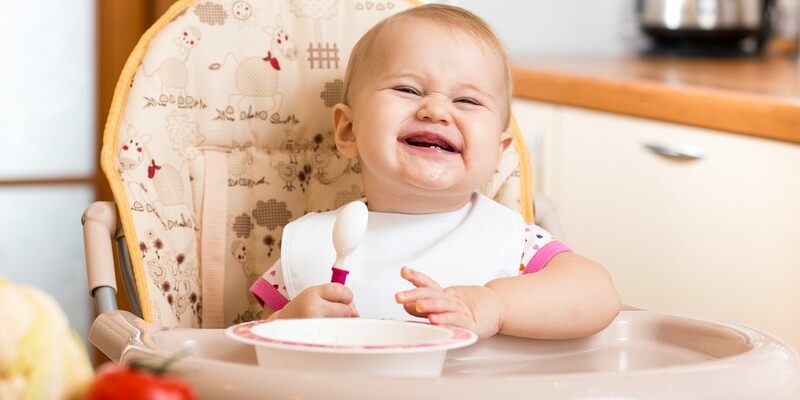 When Can Your Baby Sit in a High Chair? What are the Best High Chairs On the Market? What are the Best Sippy Cups? What are the Best Burp Cloths? What are the Best Bibs for Keeping Your Baby Clean?